The following screens are from an app I designed and built for mobile. The MVP was completed in three weeks. The following screens are from the UI design process. The app exists on my phone and can be demoed in person. GoodRoadNetwork - Integrating facebook for validation and pre building profile. This is a sample screen from that outline. 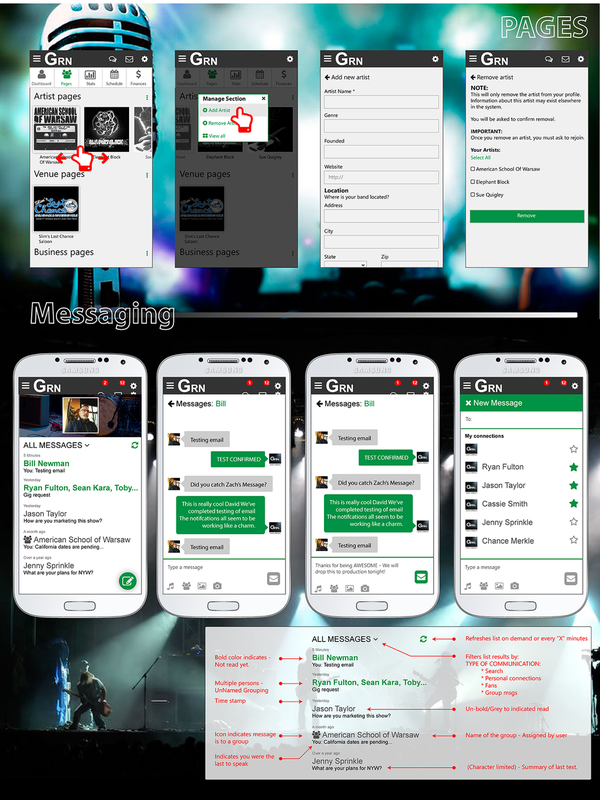 GoodRoadNetwork: Mobile chat application that was integrated into the mobile version of the project.